Facebook Has Been Tracking Calls And Texts On Android Phones! Facebook has had access to call logs for years as Android has handled permissions for accessing call logs in the past. 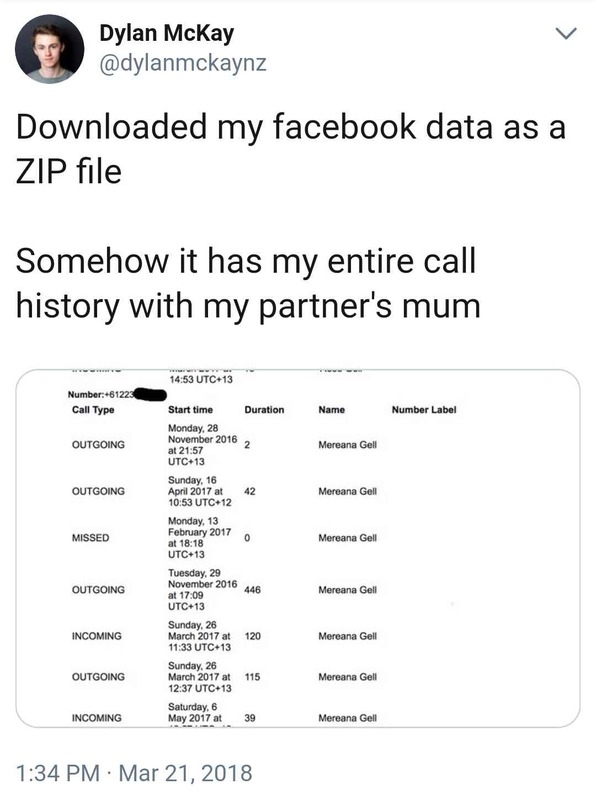 A user recently revealed how his ZIP archive file from Facebook had all the data of his calls and texts. The company uses the phone’s contacts data for its friend recommendation algorithm. Even the new Messenger application for Android and Facebook Lite versions have access to call logs and SMS on Android devices. Even if you didn’t give gives access to the Messenger, Facebook has had access to call logs for years as Android has handled permissions for accessing call logs in the past. When you had granted permission to Facebook to read the contacts on your Android device, especially before Android 4.1 (Jelly Bean) version, the permission was granted to Facebook to access all the call logs and messages by default. The makers at Google deprecated the version 4.0 of the Android API in October 2017. The social media giant has flatly denied that it collected any call data or message data surreptitiously. Facebook uploaded a blog post which states that it has never sold any data. It is just a feature that allows Facebook to use information regarding when calls or messages were made or received. This feature doesn’t collect any content of any calls or text. The company ensured that the information is securely stored on their servers and they do not sell any type of user information to any third parties. The opt-in feature is included in the default installation mode for the application. There is no separate notification of data collection. Facebook, in the past, has never revealed that any data was being collected. It was only later discovered when accounts were reviewed for the user data associated. If you have been using an Android device for long, you gave your data to Facebook prior to the release of Android 4.1 Jelly Bean. The app had your call and text data. The Facebook blog post on opt-in feature doesn’t address the fact whether the older versions of the app took away the data or not. But precisely, it’s a Google problem rather than a Facebook problem, as the problem was associated with the Android layout. But, at the same time, Facebook took advantage of the fact by remaining silent and kept collecting data without letting the users know. Be it the Cambridge Analytica or the Android data breach, the main problem is the company’s data collection practices. In one case after another, Facebook is now being found to be exploiting developer resources to harvest data for advertisers and agencies. Not only the app, there was already an issue for the Web users, where the infamous Facebook cookie had privacy issues. Both Facebook and Instagram Android app permissions now come with a lot of questions. Here’s how you can find out how much data Facebook has in your name. "Facebook Has Been Tracking Calls And Texts On Android Phones For Years! ", 5 out of 5 based on 5 ratings.